Bacolod pasalubong comes in many forms. It can be native delicacies, bottled preserves, candies, cakes, accessories, masks (for we are the home of the MassKara Festival after all) and even furniture. 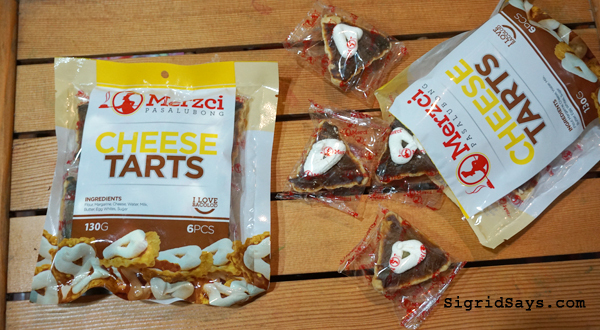 Notice these packs of cheese tarts by Merzci Pasalubong as an alternative Bacolod pasalubong item. It could very well your new favorite snack, too. It’s this girl’s favorite snack. 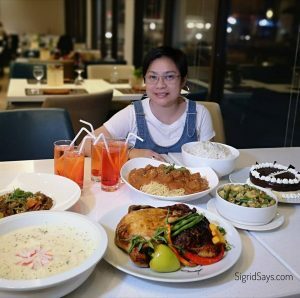 While we still have our traditions and old-time favorites, Bacolod City, the capital of Negros Occidental in southern PHILIPPINES, has gone a long way in terms of our Bacolod pasalubong products. New items have been introduced, as enterprising businessmen keep on developing new products for different tastes, especially those that can stay longer on the shelves and those that can withstand handling and cargo. 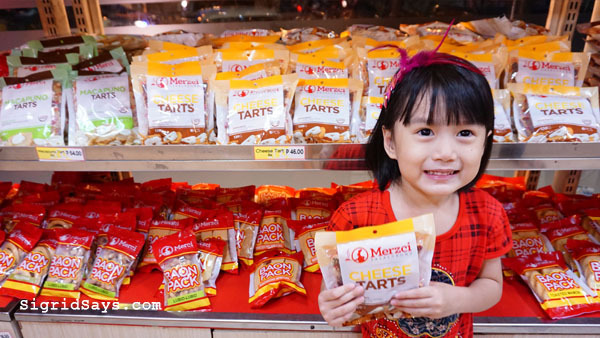 We love cheese tarts by Merzci Pasalubong! In our family, it is not really just our favorite pasalubong item from Bacolod to bring to family and friends. It’s one of our favorite snacks at home, too! Despite being very lenient with our sweet tooth, sometimes, we also want to eat something else– like a new texture or a new flavor with a hint of something. Made with a cheese base, this tart is unlike any other of the tarts at Merzci Pasalubong. It has a sweet-salty taste so it’s not cloying. 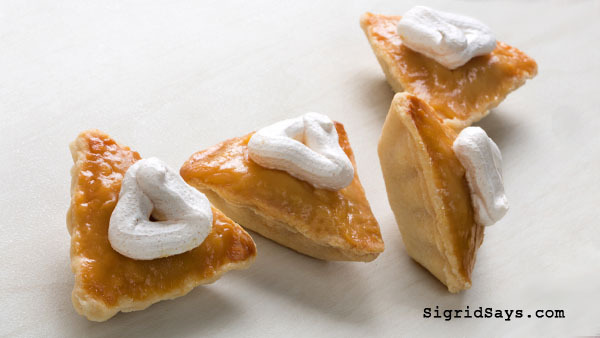 The toasted cheese mixture is cupped in a crispy pastry and topped with a dab of meringue. It’s pretty good and affordable, too. Nice to stock up on this as comfort food and also as kids’ snacks for school. Cheese tarts are not so sweet and with a hint of salty. 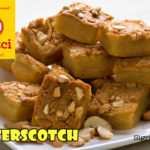 Try this pastry by Merzci Pasalubong. 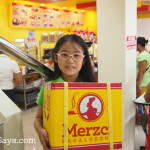 In Bacolod, visit the Merzci Pasalubong branch nearest you. Bring your recent air, land, or sea tickets and get a 10% discount on your purchase (except at the Bacolod-Silay Airport branch). The pasalubong shop also carries all Merzci products. They say everything tastes better with cheese. But not sure how they’d better these. These cheese tarts from Merzci Pasalubong look and sound amazing. 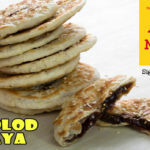 Yum yum yum I also want to try other Bacolod pasalubong products.